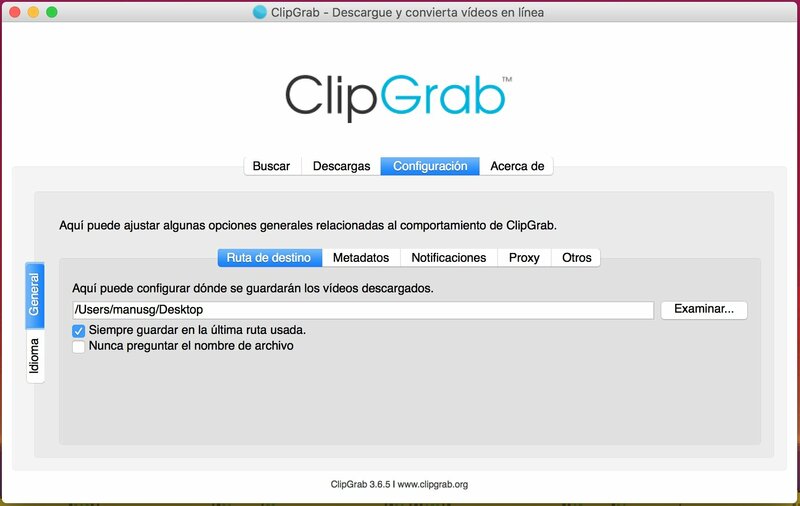 ClipGrab arrives on Mac at the best moment possible allowing you to easily download videos from YouTube, Vimeo or Dailymotion. 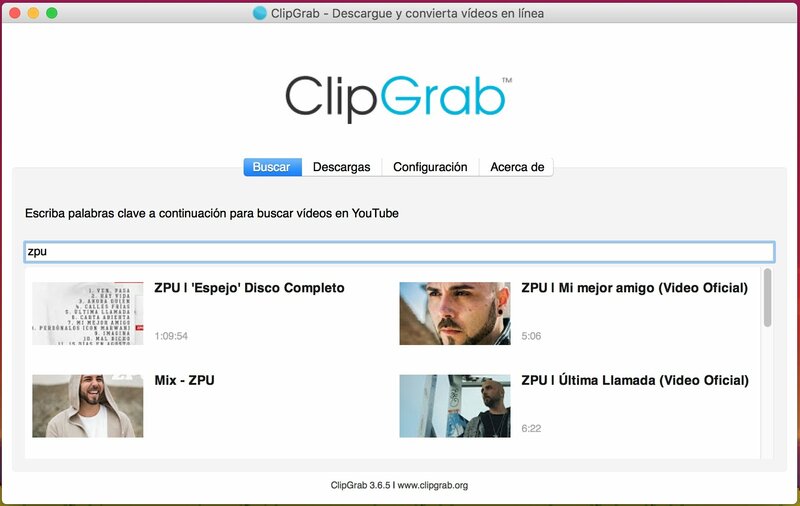 You can create your own library of offline videos without any complications. All the contents hosted on any of these platforms can be downloaded to your computer, although the truth is that we doubt you've got enough free space. It's an application available for the most used operating systems: Windows, Mac, and Linux. Furthermore, the opinions of the users are very positive due to its simplicity, efficiency, and effectiveness. 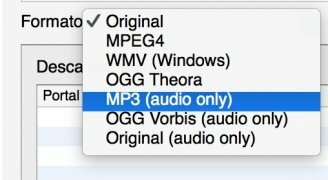 Step 1: if you want to download videos from YouTube, search for a keyword or name in the Search tab and click on the video of your choice. 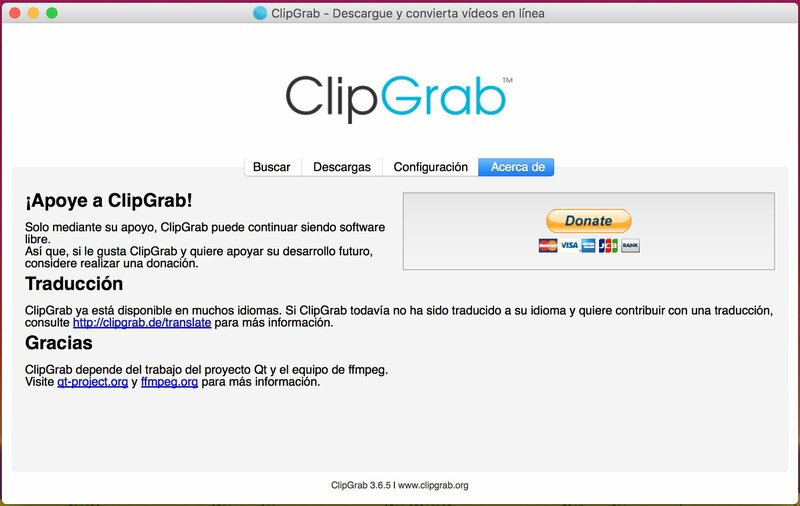 Step 2: once in the Downloads tab, you'll be able to see the URL of the video chosen. 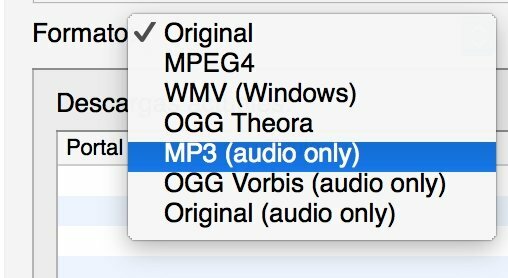 You can choose the format of the video and the download quality. In the case of music, you can choose to download the audio in MP3 format among many other options. Step 3: once you've chosen the configuration, you'll only have to decide the download location. Step 1: copy the URL from the page in question. Step 2: paste it into the Download tab in the URL section. Step 3: configure the download as we explained a few lines above. 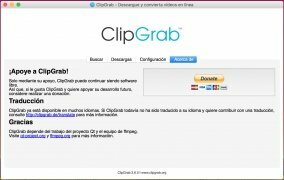 If you think that it's time to update your musical and audiovisual library, ClipGrab is the easiest way to do so.